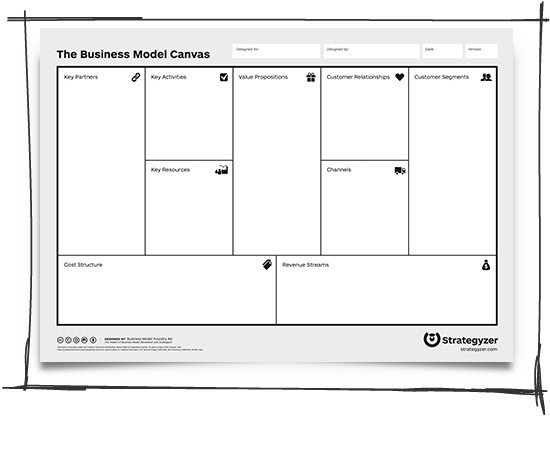 The Business Model Canvas obviously comes from practice and collective intelligence. Is there a scientific background to it ? The system approach especially shifts away from the Cartesian paradigm at the heart of classical science, allowing stakeholders to model their complex interactions, pinpoint unfulfilled needs and scattered resources, and innovate to deliver more value(s) = needs better served with less resources. Other very effective newly developed performance methods share these concepts (more often in an implicit way) : Design Thinking, Shared Value, Jugaad innovation … and Business Model Generation / Value Proposition Design ! When applied to a company, the system model comes exactly in line with the BMC ! Il allows to consider ‘value proposition‘ not only for clients but all the company stakeholders (suppliers, employees, shareholders, society, environment …). And ‘system model‘ can be applied the same way to the company processes, IT, products … so that the same ‘canvas‘ can be used coherently at any corporate level. Do other BMC users share this view of a common ‘system‘ background ? 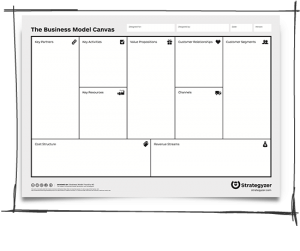 Are you interested in developing an ‘Anything Model Canvas‘ to be used at all corporate level, along with the BMC ?